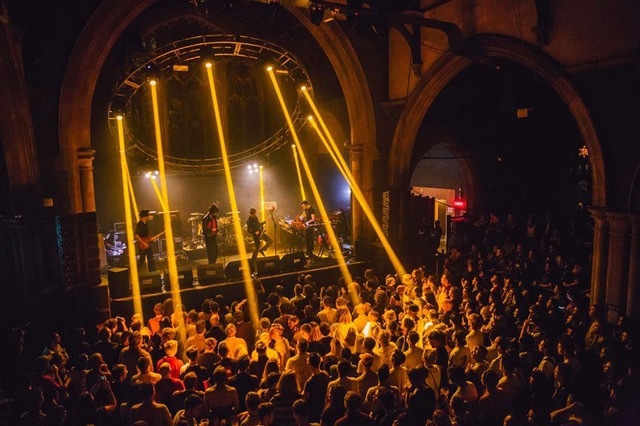 There’s a tonne of bands heading to the city for the bank holiday weekend, with some pretty amazing new acts filling up 20 stages around Leeds, as well as some top headliners making a welcome return. We’ve got METRONOMY, TOM GRENNAN and SUNDARA KARMA sitting at the top of the poster, with LAUREN AQUILINA, MINI MANSIONS, KATE TEMPEST and SWIM DEEP headlining stages around the festival. And then we have the best of Yorkshire music to get stuck into throughout the day with MARSICANS, MENACE BEACH, ORMSTORMS, SEAFRET, THE HUBBARDS, FAR CASPIAN and more. So, only 20 stages to work around. Not that difficult to plan your day, right? Get the Live At Leeds app and leave those print-outs and highlighters alone. Live At Leeds tickets are on sale now for a mere £41.80 (inc booking fees) from here.